Thirty-three years ago today, a dear friend and colleague, Colonel Ellison Onizuka, died in the horrific explosion that destroyed space shuttle Challenger and killed seven astronauts, including teacher Christa McAuliffe. El was one of America’s finest—an accomplished astronaut, flight test engineer and Air Force officer. The native Hawaiian joked that he never wore shoes, until he started school, yet ultimately secured masters degrees in engineering from the University of Colorado and graduated from the USAF Test Pilot School. El also was a devoted husband and father, and always made time to coach kids’ baseball and basketball teams. 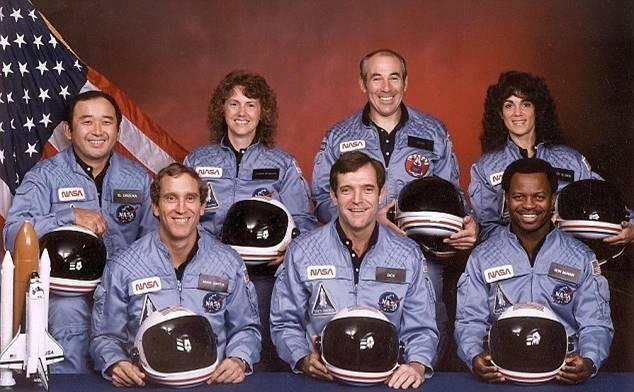 Consequently, El would be both excited and humbled by today’s Challenger Learning Center of Colorado (CLCC), one of 50 such centers launched by families of the astronauts who perished on shuttle Challenger. Dedicated to spurring student interest in science, technology, engineering and mathematics, the CLCC will move to a $4 million, 10,500-square-foot space science facility this fall. In a January 7, 2019, story, The Colorado Springs Gazette’s Debbie Kelley reported that the Center had received a $100,000 donation from the El Pomar Foundation to underwrite a stunning atrium. El Pomar joined an impressive list of corporate and private donors that ensures the new Center will be a world-class model of advanced education, featuring a planetarium, simulators, a “Maker Space” and enough room to double the number of students it now handles. A current campaign to raise $16,000 will equip the Mikkelson Planetarium with 40 specialized seats. Each $400 chair will be personalized with the sponsor’s name. Astronauts Kevin Chilton and Gary Payton purchased the first two, and the rest are going fast. The local Challenger Center has provided almost 200,000 kids with hands-on, space-oriented experiences, since it opened in 2002. Over the next 50 years, another two million Colorado students will have the same opportunity, thanks to the generosity of local companies and private citizens. El Onizuka’s roots were in the coffee fields of Hawaii, but his heart was in Colorado—and in space. After his first shuttle mission, he confided, “If anything ever happens, know that I’m doing exactly what I want to do.” I also know he would take great pride in the new CLCC facility and by Colorado’s stellar support of its students. Some of them may walk on Mars. In El’s memory, my sincere thanks to all who are serving and supporting the new Center, thus honoring the courage and indomitable spirit of the Challenger Seven. Retired as the Rocky Mountain Bureau Chief for Aviation Week & Space Technology, after a 22-year career with the aerospace magazine. Former U.S. Air Force officer; Flight Test Engineer graduate of the USAF Test Pilot School; civilian pilot—Commercial certificate with Instrument and Multiengine ratings; logged ~2,000 hours of flight time in 80 different types of aircraft; Bachelor of Science in Electrical Engineering; married to Linda, father of two wonderful sons, Erik and Kevin. Author of "The Permit"; contributor to "License to Kill: The Murder of Erik Scott"; coauthor of "Space Wars: The First Six Hours of World War III," a sequel, "Counterspace: The Next Hours of World War III", and "Inside the Stealth Bomber: The B-2 Story". © 2019 William B. Scott. All Rights Reserved.